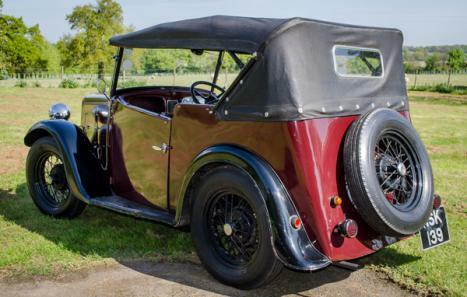 Austin 7 tourer. Raises waves and smiles wherever it goes and is a pleasure to drive. 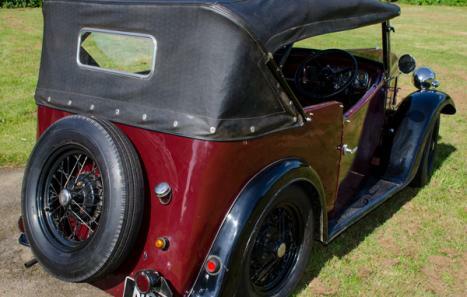 It has been displayed at the annual National Austin 7 Rally at Beaulieu. Folding roof. 747cc engine with four-speed gearbox. Bodywork by Holden. Maroon body, black wings, black upholstery. Driver's seat can be adjusted.There is more shoulder room than in a standard A7 tourer, making it very comfortable, and there are several features unique to the export model including wheel/tyre size, air filter on the carburetor, four-bladed fan, and what is believed to be a hand throttle lever under the dashboard (not connected).The paintwork (done by a previous owner) on the car is not perfect but it presentable and there is no significant rust. It could easily be tidied. The upholstery, hood, and sidescreens are excellent. The interior of the hood shows minor spotting from damp at some time.comes with V5C and some history documents. 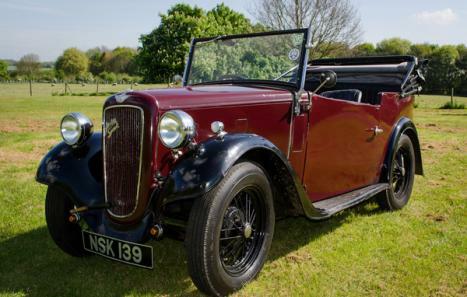 The Austin 7 is one of the most practical and easily-maintained of classics cars and offers reasonably priced entry into the world of pre-war motoring. No Road Tax is payable. No MOT Required. Insurance is very inexpensive for most drivers (less than £60 p.a. for fully comp with European cover and recovery). 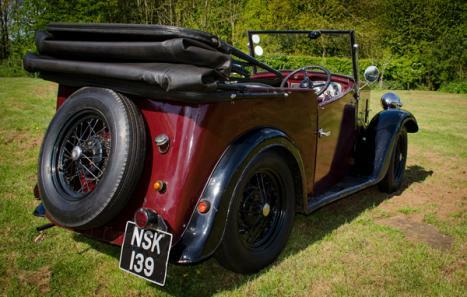 Spares are readily available from a wide variety of specialist suppliers and there are many thriving clubs for Austin 7 owners to join.